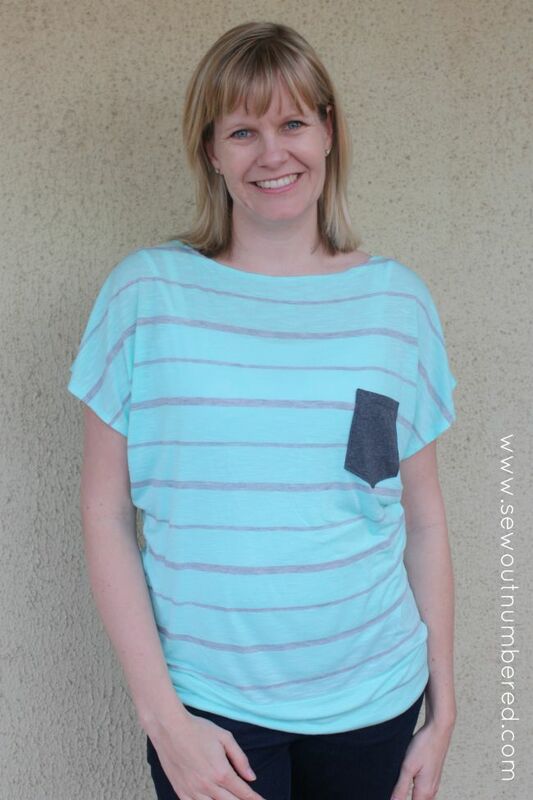 Dresses, skirts, pants are all fun to make but sometimes you know you just need a top to throw on with some jeans when you’re heading out for the school run, or down to the shops, or out for lunch? One of those for me is a plain grey RTW dolman top and even though it really needs chucking out (like, it has HOLES for goodness sake! ), I’ve been hanging onto it with plans to draft it first. Two years on it still isn’t drafted so when I spotted the EYMM Kymy Dolman top I accepted defeat and figured the purchase of this pattern would be a much quicker and easier alternative. 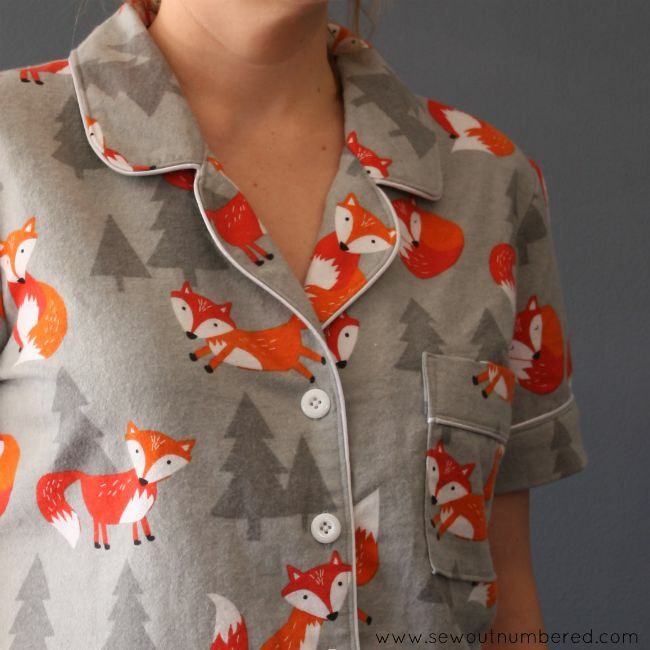 I was definitely right there, this would have to be the quickest and easiest top I’ve EVER made! 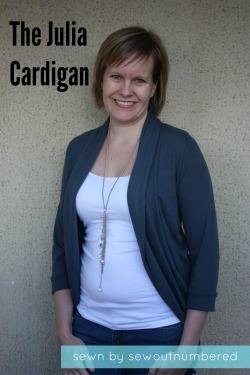 I cut a size small and it’s a nice relaxed fit as a dolman should be. There’s probably a *touch* too much length for my liking but that’s an easy fix for next time. 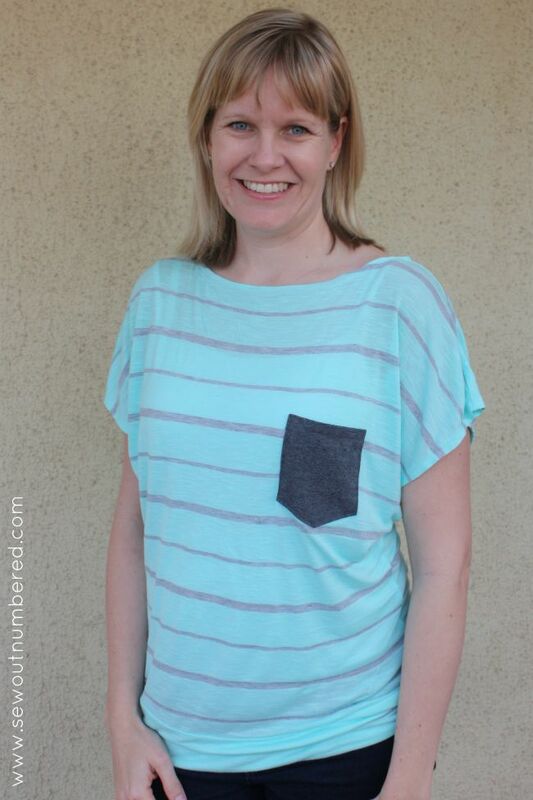 There are a generous 5 options for this pattern and I went for option C – the banded top. I made a couple of minor changes – I firstly drafted up a simple patch pocket to add to the front which I think it needed to break up the stripes. I also added clear elastic into the shoulder seams which I like to do when sewing knits for myself to avoid the shoulders stretching out over time. I never bother when I make stuff for the boys coz they’ve always grown out of their tees before this happens! The fabric was an online purchase from Girl Charlee back in the day when our Aussie dollar was awesome and it didn’t cost the earth to order fabric from the US! It’s an extremely lightweight (read *flimsy*) jersey. I’ll definitely use something a bit more substantial next time to avoid needing to wear a single underneath. 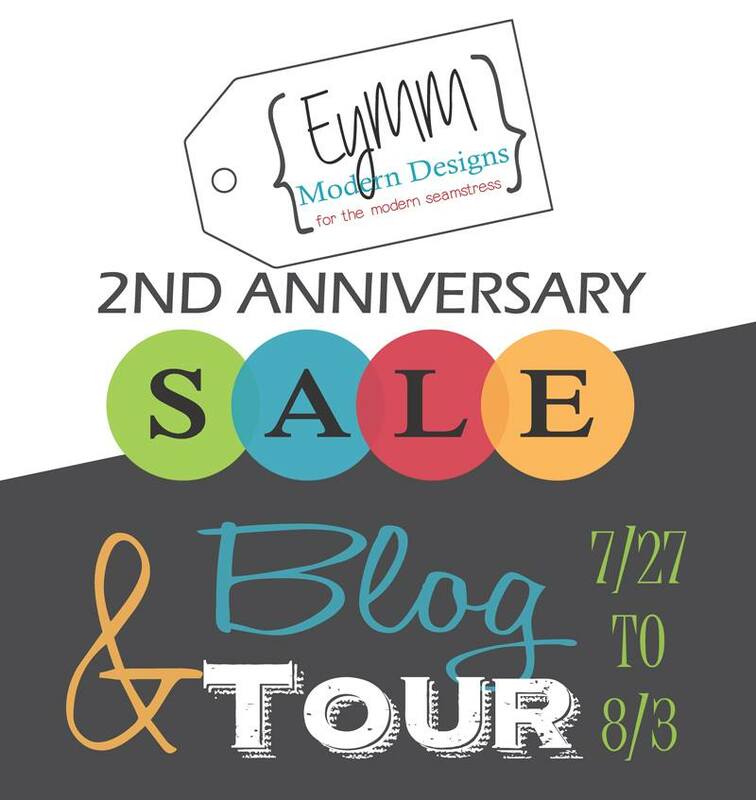 Thanks so much to the girls from Everything Your Mama Made & More for having me along on their blog tour to celebrate their 2nd anniversary of being in the PDF pattern making business! They have an awesome sale going on at the moment with 43% off all their patterns (to celebrate a massive 43 patterns released in the past 2 years!) There’s also a giveaway so be sure to pop over and check that out! 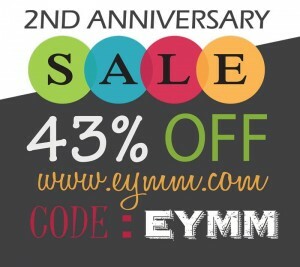 Join EYMM†and 24 fellow bloggers as we celebrate the first 24 months of our pattern shop with a†huge†sale and giveaway! †We will be featuring 8†different patterns for women and girls, as well as having a Manic Monday sale and a huge site-wide sale. †There is†also†a great giveaway at the bottom of this post. Don’t wait because you don’t see sales like this often from EYMM and it will be over before you know it! Not only is there an AMAZING blog tour going on but 1 lucky winner that leaves a comment below between now and 8.3.15 will win a FREE EYMM pattern of their choice!!!! †Which one would you pick? Then hop on over to EYMM to check out the†awesome SALE, and an even bigger celebration giveaway with over $1000 in prizes. †There will be 40 winners in all. 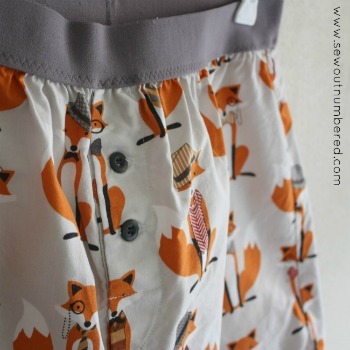 **EYMM kindly reimbursed me for my pattern purchase but as always my opinions remain my own.